MHM was thrilled to receive the Merit Award for our work at Elkmont Exchange Brewery & Eating House at the annual AIA Tennessee Design Awards. The restaurant and brewery features a dynamic facade meant to spur new development in the quickly emerging neighborhood. Inside you will find open, yet inviting seating areas and get to see behind the scenes into the brewing and curing facilities. This project was a pleasure to work on and we are excited for it to be recognized as one of the top projects in Tennessee! 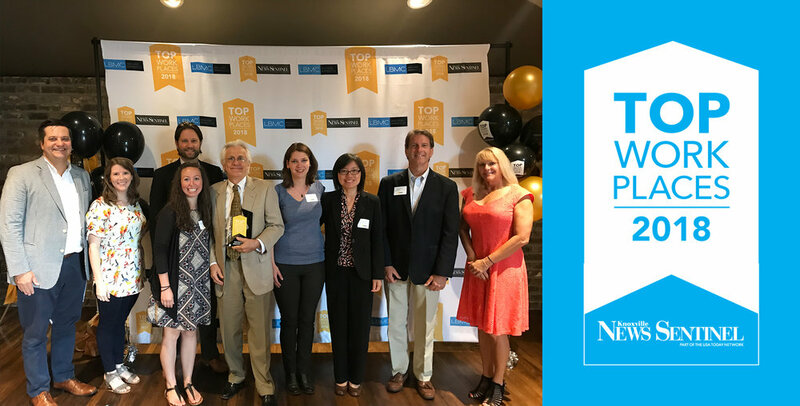 MHM was recognized as one of Knoxville’s Top Workplaces of 2018! The group of 30 workplaces recognized this year were selected based off office policies, benefits, and anonymous employee input through third party surveys. Over fifty years have passed since the firm was founded and MHM has continued to evolve and grow along with our community as one of the leading design practices in East Tennessee. This evolution includes a recent renovation to our office that strengthened our culture by creating a more open and collaborative work environment. We are thrilled to receive this honor and owe it all to the amazing architects and designers who make every day at the office enjoyable. 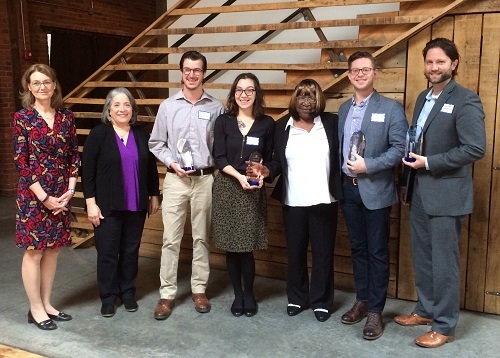 MHM was proud to receive the Equity Award for the work on Elkmont Exchange from the City of Knoxville's Community Development team. MHM was proud to have two projects recognized at the 2018 Orchid Awards. Orchid Beautification Awards are presented by Keep Knoxville Beautiful each year for buildings and outdoor spaces that beautify and elevate the local landscape. We were happy to have The Tennessean receive an Orchid in the Redesign/Reuse category and Elkmont Exchange Brewery and Eating House receive an Orchid in the Restaurant/Café/Bar/Brewery category. Congrats to all involved! The Tennessean was recently recognized by the Associated General Contractors of Tennessee, Knoxville at their annual award ceremony. MHM worked alongside contractor, Johnson & Galyon and other development partners: Commercial & Investment Properties, SRSSA, and Rick Blackburn to bring this important downtown project to life. On behalf of American Schools and University, University of Tennessee's Ken and Blaire Mossman Building has been recognized the the Outstanding Design Award in the Work in Progress Category. The project is one of only 5 projects chosen as the top Works in Progress Designs nationwide. The project will open in Fall of 2018. MHM was recognized as one of the Top 10 2017 emerging professional friendly firms in the state by AIA Tennessee. MHM was proud to have three projects recognized at the 2017 Orchid Awards. Orchid Beautification Awards are presented by Keep Knoxville Beautiful for buildings and outdoor spaces that beautify and elevate the local landscape. 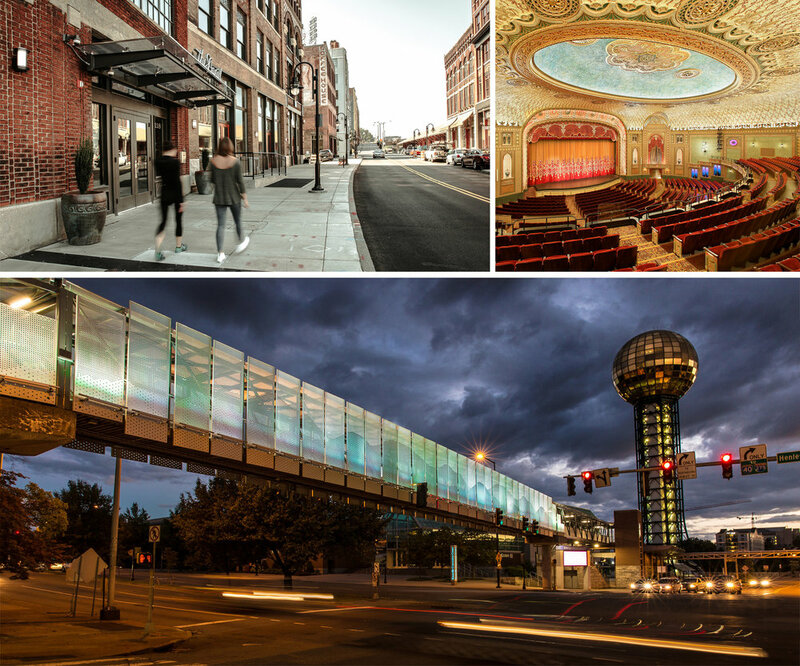 The Henley Street Pedestrian Bridge received an Orchid in the Public Art Category, The Daniel received an Orchid in the Redesign / Reuse Category, and The Tennessee Theatre received the Mary Lou Horner Award. MHM received the AIA East TN Merit Award in Interior Design for Perceptics. On behalf of the American School & University publication, McCarty Holsaple McCarty in joint venture with BarberMcMurry architects received the 2016 Educational Interiors Showcase GOLD Citation Award for The University of Tennessee, Student Union (Phase 1) project, located in Knoxville, Tennessee. MHM received recognition for the preservation rehabilitation work done at the Emerald Academy / Historic Moses School.